MIGNONNE: The French Connection ... Troisième Note! Grey, The New Neutral. The French Connection ... Troisième Note! Grey, The New Neutral. 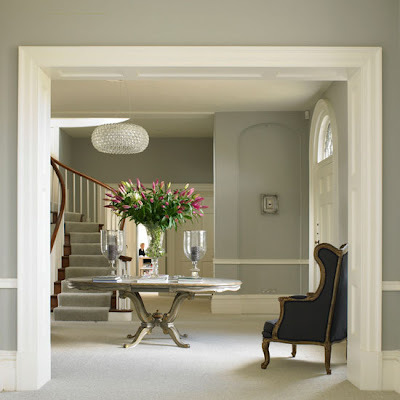 Grey has been a much maligned color in design schemes. In America, it can be considered somber, the color of ciment, a bit sad even... for me even prison-like! Since moving to France, I have a whole new regard for the color grey. I am surrounded by all sorts of inspiring examples of grey which are so much more beautiful than those I remember in the U.S. Here wherever you look you find a shade of grey. Check out the beautiful cupola roof slates here ... not only is the color sharp, but the shape of these rooflines inspire me in all sorts of design directions ... just a typical corner of Reims, with the added bonus of a décor shop tucked away for future investigation. You can be walking along a busy shopping boulevard, peek between two buildings and be blown away by the view behind. Here is a lovely example of soft pearly grey, very sophisticated. Here, Reims' cathedral tower with aging stone. Limestone is affected by many elements and the colors can vary tremendously. Weather, traffic, age, smoke ... all of these add to the depth of colors present. Some might consider this aging 'dirty', but if you look beyond that label to the palette of colors, you find beauty. Nature here provides some examples as well, of the beautiful options for neutrals in your design with greys, browns, creams. 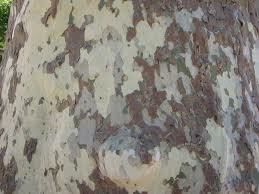 Take this tree bark for example. I am dying to put together a beautiful 'commode' (dresser) or 'placard' (cabinet), incorporating this color combination. Here in the far north of France, I reveled in the early winter's seaside climate in the village of Cayeux as another creative inspiration. The thousand subtle shades of grey found in the beach stones, the effect of the foggy day on the color and reflections in the water ... the curvy shapes of the inlet, all reminded me that these neutral colors can compete, in fact overcome, the standard eggshell or ivory we sometimes lean toward. 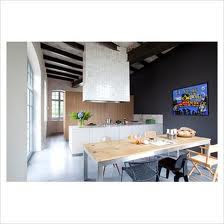 I am currently finishing up a redesign project of a small stone house or what we have called 'chalet', incorporating a dark grey, a grey called 'plume' and a blue grey called 'ciel' or sky. You'll see how it all came together in an upcoming edition. This shabby chic bedroom with grey and soft brown patinas makes me want to snuggle up with a good book ... or walk barefoot on that plush textured carpet ... these neutrals are not boring!! I hope this peek into some of my everyday discoveries here in la Belle France has offered some inspiration and a new view on (n)ever boring grey!